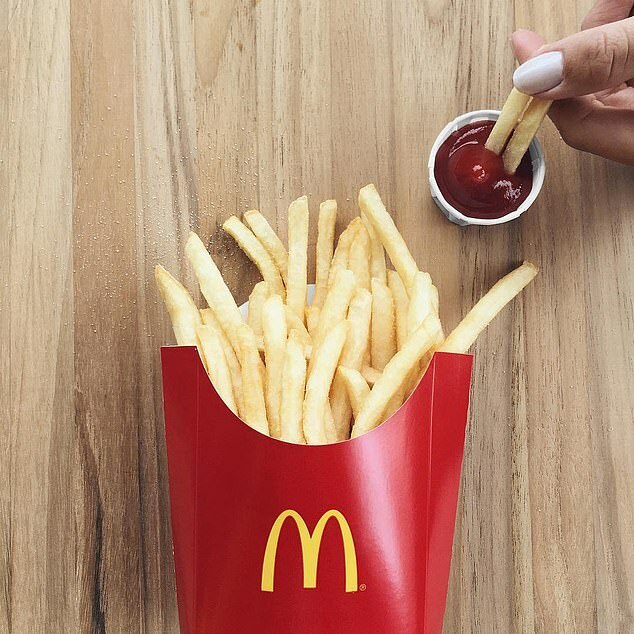 The chips are down: McDonald’s sauce hack stuns thousands of customers – so would you try it? A startling revelation of the McDonald’s fries box has stunned thousands of people online. An image posted to Twitter shows the fries box folded and you can place the tomato sauce on the ledge. 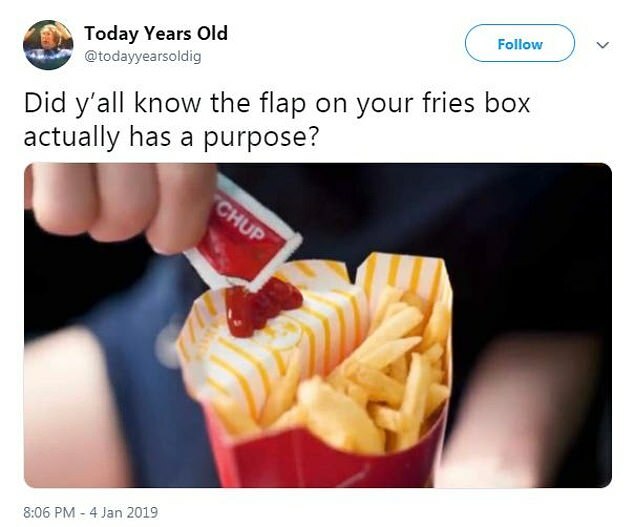 ‘Did y’all know the flap on your fries box actually has a purpose?’ the tweet read. The tweet has been retweeted 229 times and liked 609 times, with fans commenting on the cool hack or questioning whether the user just bent the box themselves. ‘You can bend anything and it will turn into a plate dude…’ one commented. ‘Except when it snaps back and splashes ketchup on you,’ one unimpressed person wrote. ‘Awesome. I’m gonna try it. Thanks,’ one user wrote. ‘Lies,’ another commented as they shared an image of a large fries box without the option to fold it and create a ledge. ‘I think the high end of the box is meant to for the workers to be able to grab the top without burning your fingers w freshly hot fries out from the deep fryer (scolding hot oil). But this can of course double as a dip corner. Just my thought!’ another suggested. ‘What if I get small fries? Where does the ketchup go then?’ one user asked. Daily Mail Australia has contacted McDonald’s for comment.